B.K Fortune Seafood is located along Bukit Timah Road just opposite the entrance of the road into Turf City. They are housed under the big coffee shop chain by Kim San Leng for open air dining and have a separate old school aircon dining environment right beside the coffee shop, selling similar Tze Char Items. 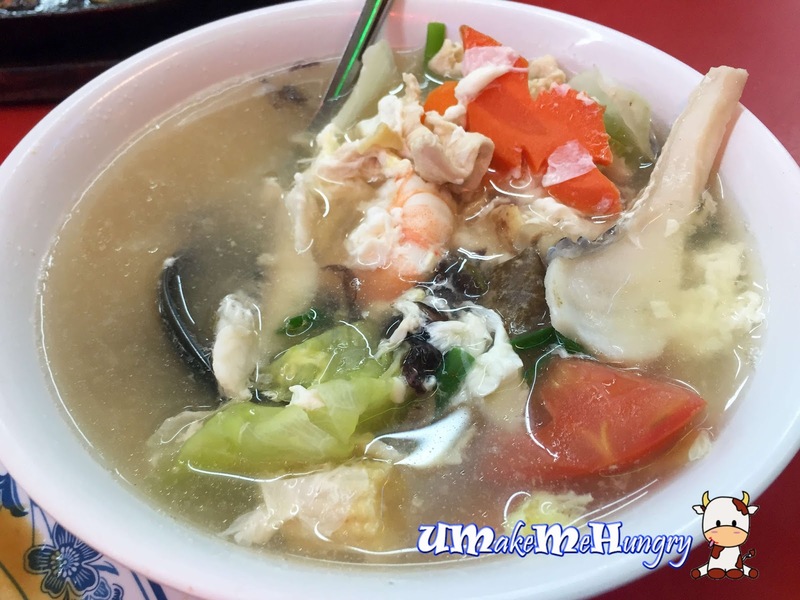 Upon serving the bowl of soup to our table, we almost rejected the bowl of soup and told the server that we did not order any seafood soup as no seaweed could be found until we stirred them up from the bottom. In fact, there is more seafood but only a spoonful of seaweed. Soup was rather decent with slice fish, tomato, carrot, prawns, egg and little corn. 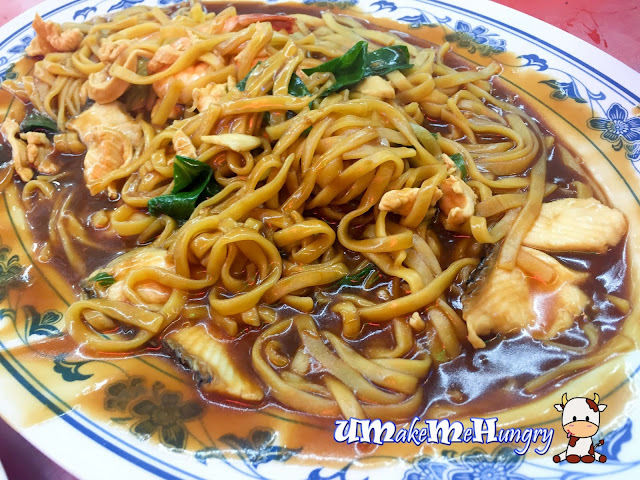 The guy being a Hokkien has never failed to order this Hokkien Noodles whenever it comes to Cze Char Meal. The standard dishes of this is of an average fare and nothing out of ordinary. 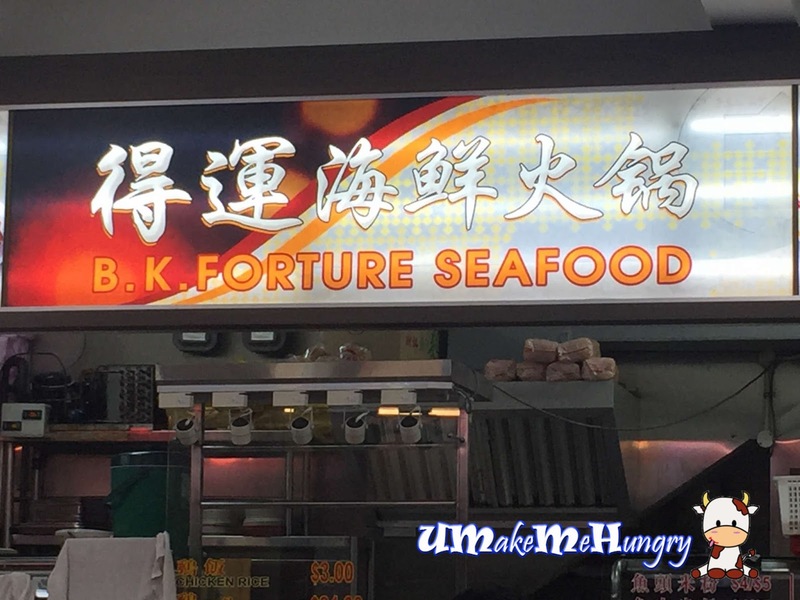 Ingredients include slice fishes, prawns and vegetables as the ingredients. 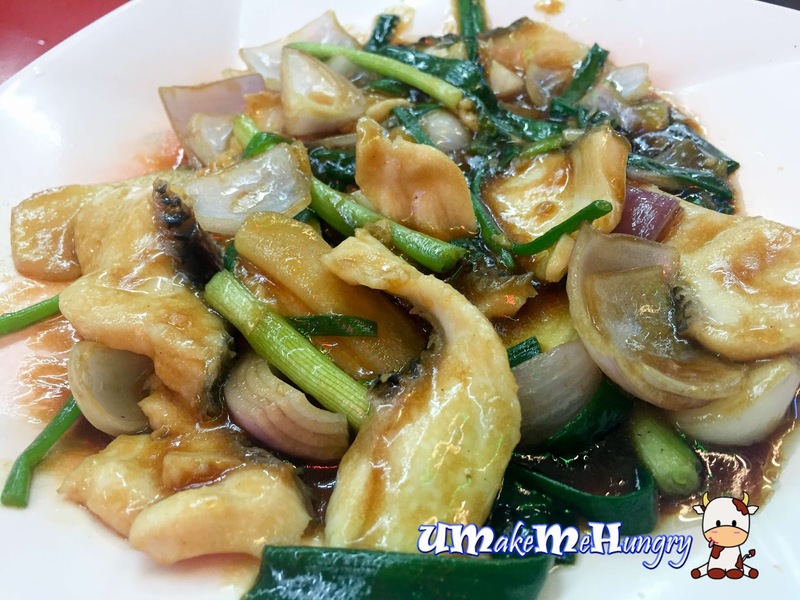 With slice fishes present in the seaweed soup and hokkien noodles, this dish may seemed to be overwhelming for the dinner. Fortunately, both of us love this dish with its sweet sauce. Fish was fresh and yummy. If you are having white rice, it will be ideal. 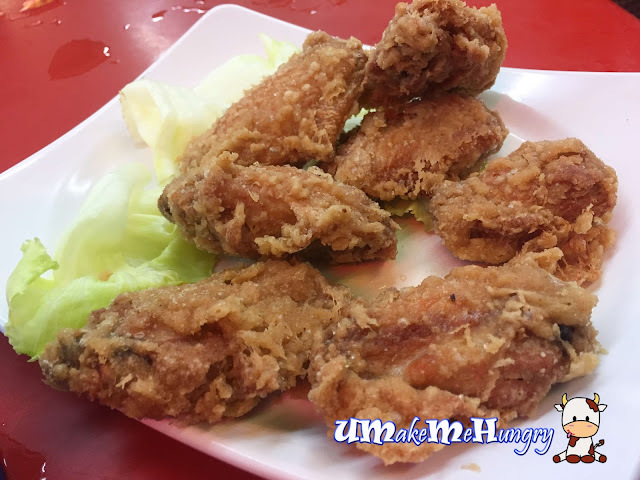 The plate of fried chicken was below par in my opinion as the chicken marinate did not make the taste any better, in fact the prawn paste chicken was having some bitter taste even though it may seemed to be yummy in its golden brown color perfection. Yay or nay? I will say nay. With so many light flies approaching our food, it was kind of disturbance during dining. I hope it was just a one time off event. Anyway food had their hits and misses, we don't see ourselves coming back any soon in the near future.